Kickstarter, a crowdfunding platform, was built to help bring creative projects to life. It’s an organization that helps creators find the resources they need to help make their ideas a reality. 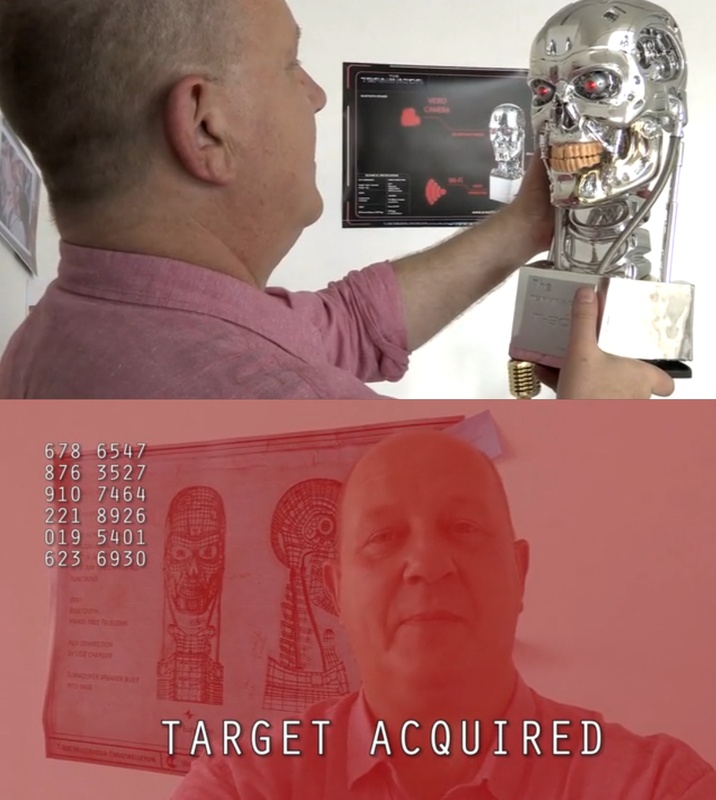 And AC Worldwide wants to make this Multimedia Terminator Speaker a reality also and hopes that Terminator fans do too! Kickstarter community members pledging for our limited availability special serial numbers T-800, will have your pledge shipped in a deluxe collectors’ box made from durable, non-board materials, and never to be made available at retail, for added collectibility. You also get to specify a personalised plaque on your speaker featuring your name or other script – this, too, will never be offered at retail. Technology: the T-800 speaker connects via Bluetooth, Wi-Fi and even by Aux cable. Included is Amazon’s Alexa voice-controlled AI giving access to music streaming services, weather, news, traffic and other real-time information; empowering complete control of your home with simple voice commands. When connected to a mobile phone, you can make and receive hands-free calls through the speaker’s built-in microphone. Our smartphone App gives you full control over the audio and the camera. 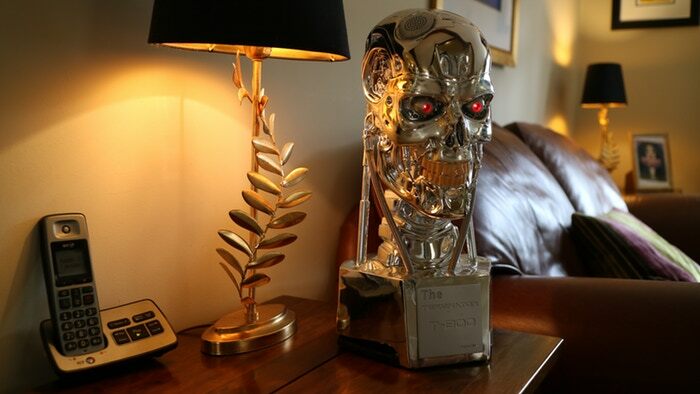 Shipped in a special Kickstarter-edition giftbox, the T-800 is an advanced, fully-functional audio and video device, a virtual ‘personal assistant’ that doubles as a beautiful display piece and collectible. Mains powered (supplied with multiple adaptor for use worldwide). 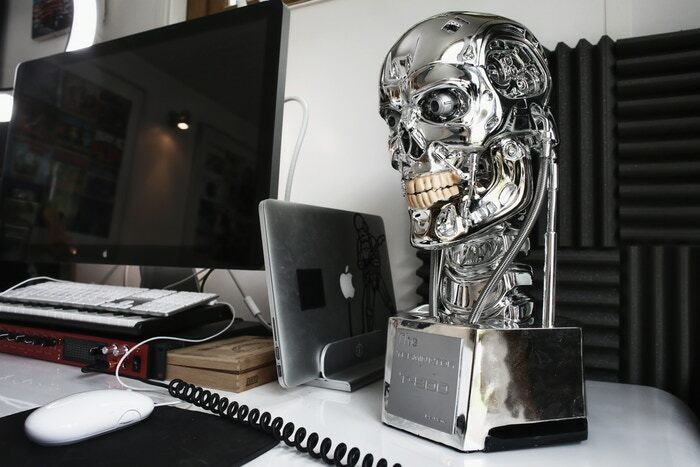 So go to Kickstarter now and show your support for the Terminator Multimedia Speaker today! You’ll find more information, a gallery of pictures, a video, and many different pledge options. So check it out! 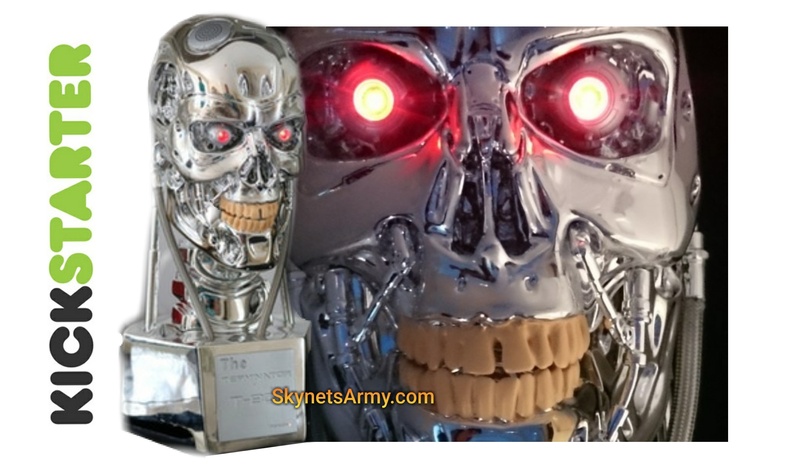 Previous PostDid James Cameron lie to millions of people about “TERMINATOR GENISYS”?Next PostResearchers terminate A.I. bots after they create their own language. A black paint wash would give this piece an exceptional look.